This sushi restaurant is loved by the local regular customers. The genge (porous-head eelpout) dishes here have such a good reputation the shop could be called "Genge no Manryo" (Manryo, the genge restaurant). 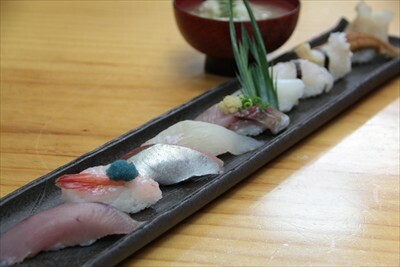 Genge sushi is deliciously refreshing, with a texture resembling that of the conger eel. This sushi restaurant cares about seasonal food, and aside from fish, you can also try dishes with mountain vegetables.